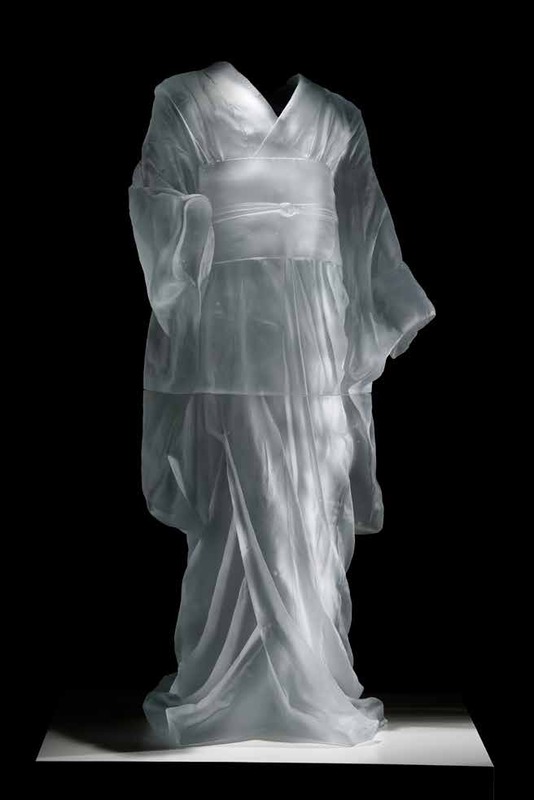 Artist Karen LaMonte challenges the inherent qualities of glass and explores the dress form as a metaphor for gender, identity and the human body. Embodied Beauty examines her two newest series, Floating World and Nocturnes, through 32 sculptures in various media. Floating World developed from LaMonte’s residency in Kyoto, Japan, where she studied all aspects of the kimono—from weaving and construction, to ceremonial function and historic meaning. The Nocturnes harken back to LaMonte’s earlier works which drew on her interests in Classical Greek and Roman figures. 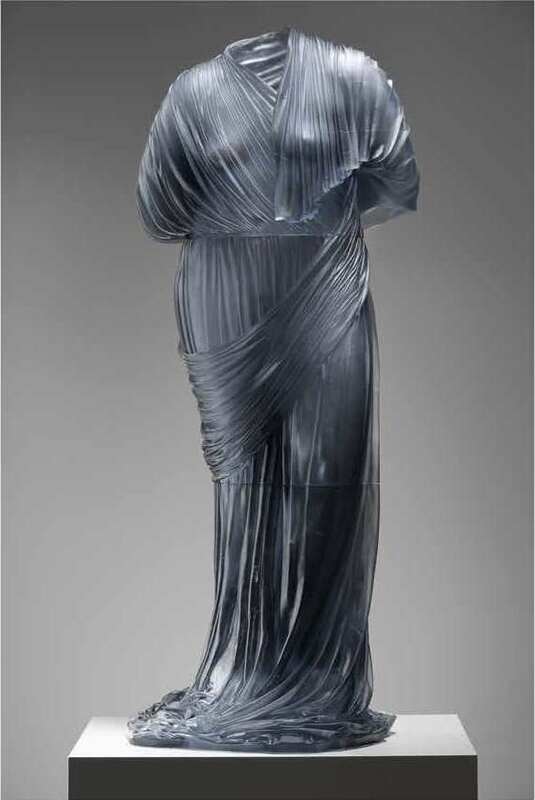 The female forms in LaMonte’s sculptures, absent, yet implied through the clinging fabric, raise questions about the role that clothing plays in society, and the impact it has on women’s lives, whether in the east or the west. In the last decade, the artist has also created her ethereal sculptures from clay and cast her pieces in bronze and iron, several of which will be featured in the exhibition. This exhibition was organized by the Hunter Museum of American Art in conjunction with Karen LaMonte studios. Learn more about Karen LaMonte here. This exhibit is generously sponsored by Suntrust. With additional support from Chattanooga Times Free Press.